Like kids everywhere, Arthur, D.W., and their friends sometimes struggle with eating too many sweets or gaining a little too much weight. They also learn how to make better choices and create yummy and healthy snacks. Here are some resources, games, and videos to help make nutritious choices. Alison Hoppin, M.D., specializes in Pediatric Gastroenterology and Nutrition at the Massachusetts General Hospital in Boston. She is also the Associate Director of Pediatric Programs at the Mass General Weight Center. In this video, Dr. Hoppin answers questions about children and healthy eating. ©2018 WGBH Educational Foundation. All rights reserved. All characters and underlying materials (including artwork) copyright by Marc Brown. 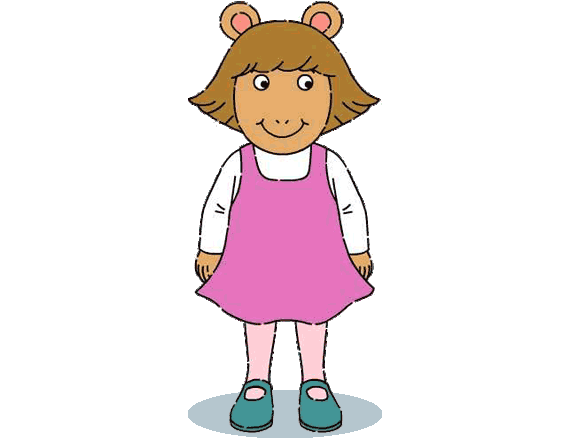 Arthur, D.W., and the other Marc Brown characters are trademarks of Marc Brown. All third-party trademarks are the property of their respective owners. Used with permission. Arthur is produced by WGBH Boston and 9 Story Entertainment, Inc. The Arthur Family Health Website is intended for informational purposes only and is not a substitute for medical advice, diagnosis or treatment, which only your healthcare provider can do. Funding for the Arthur Family Health Website is provided by the WGBH Children's Educational Media Fund, whose donors include The Weezie Foundation. Funding for Arthur is provided by public television viewers. Corporate funding is provided by ABCmouse.com.